So, the first month of 2019 is almost over, which means that it’s time for you to back to work. I understand that you may still be too lazy thanks to the holidays’ mood. And that’s why there will be nothing complicated in today’s post. As the name of the article promises, here I’m going to answer one popular question: how to create a gorgeous portfolio without coding skills? Obviously, you can do it with the help of a ready-to-use website theme. In fact, the development of modern technologies never stands still. Thus, the amount of new digital products increases every day. Needless to say, it’s hard to choose your one and only theme when you are a beginner. At the same time, WP plugin development also increases, so what should you do? 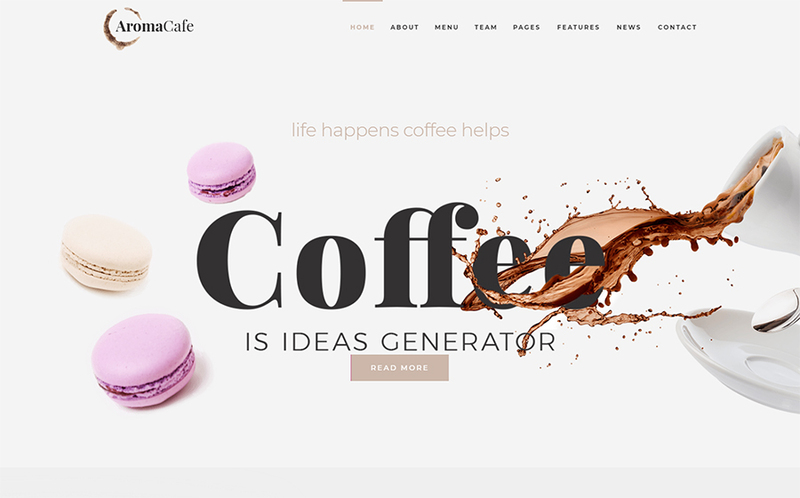 Which theme to choose for creating your perfect online portfolio? In this post, I selected professional WordPress themes and Moto CMS templates. They are extremely easy-to-work-with! No coding skills or special knowledge required. The functionality of these hip products is based on a drug & drop technique. That’s why the only thing you’ll need to do is to pick up the needed element or function and drag it to the editor window. Also, there are 2 brand-new code-free editors I’m going to tell you about. Firstly, there is Elementor Page Builder for WordPress-based websites. Secondly, there’s Moto Builder for Moto CMS projects. As always, all the products come with their live demos. It means that you can run them to see the way all elements work in action. What else should you know about these themes and the code-free website building at all? Well, let’s get started! Here is the first Elementor-based WordPress theme I’d like to show you. 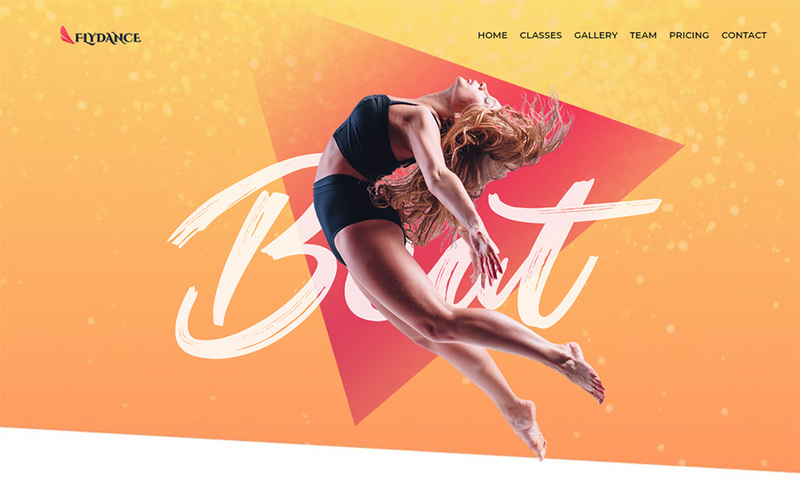 Flydance is a strikingly-colored WP product which was featured and designed for the creative online projects. How to work with the look of your online pages and edit the design of your site? To answer this question, let’s take a closer look at the builder. To make a long story short, Elementor is the newest drag & drop tool to work on WP-based sites. The editor comes with a fast preview that works in real time. With it, you get an actual WYSIWYG experience while editing or creating your first web design. Now, let’s talk about another undeniable must-have, as it’s important both for the beginners and the skilled users. Living in 2019, you can see that all the worthy sites are responsive. It means that they work on any device without trouble. Making their online project 100% responsive, the site owner lets visitors forget for the time and location limits are. Your prospects will be able to visit the website wherever they are and whenever they want. There’s no matter which gadget a visitor has in hands! Your site will automatically suit any screen site thanks to responsive design. Try it to boost customer experience. Same to the previous point, the mobile-friendly design is your #1 feature to look for. Why is that? Well, let’s start with a simple statistic! According to it, mobiles take the lead. In 2016, 57% of all world traffic related to the small-screened devices. What’s more, in 2017, this number increased to 63%! Besides, even the percentage of the total a user spends on site became higher for mobiles. It used to be 40% in 2016 and raised to 50% in the next year. Finally, here is another interesting fact for you to think of. 89% of people are likely to recommend a brand after a positive brand experience on mobile. I hope now you do want to make your website mobile-ready, so let’s back to Elementor Page Builder. I already told you how it works but there are much more things to know about the editor! To start with, Elementor has a built-in library that already contains over 500 UI components to enrich web design. All these design elements are flexible and easy-to-use. You can change any detail without trouble and make the website fit your personal taste. To say more, using Elementor, you can create new templates and save them to the library. It will help you to save time during the next editing process. Another cool thing about the builder is that it has regular updates. You will get new web design elements every week! a blog about music, etc. In a word, Recordex has everything and anything a user may need for their music online gallery. The template contains lots of ready-made pages. You can use these sections the way they are in case you don’t have time on editing. However, keep in mind that this process won’t be long thanks to the pre-packed Moto Builder. Obviously, SEO is the point which I can’t avoid when talking about the WordPress themes for beginners. To start with, SEO means Search Engines Optimization and I’m sure you’ve already heard this term at least once or twice. So what I want you to do is to make sure that your future online project will be SEO-friendly. Why do you need it? Basically, SEO is a smart mechanism that works with such search engines like Google. It allows them to find your site quickly. Thanks to an SEO-ready design you get better search results which means more visitors. Needless to say, any page is versatile. It is easy-to-customize, so there will be no problems with creating the very website. You can do it without touching a single line of code! Change the elements in accordance with your personal preferences or business needs, create unique designs, and don’t be afraid to experiment. improve SEO results, and more. Talking about visual effects, I recommend you to find the theme which comes with Parallax scrolling. It’s a well known visual effect that, historically, was created for video games. However, soon Parallax scrolling became a popular web design trend. And it improves every year! 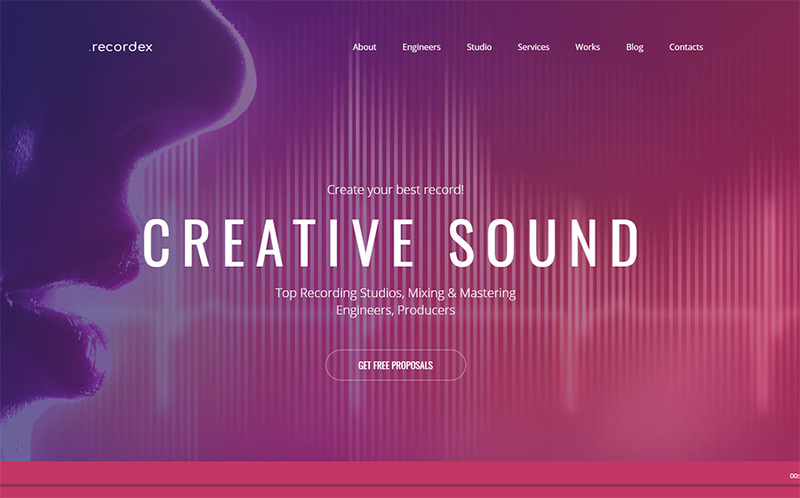 To make a long story short, Parallax is a magnificent way to charm the visitors of your site. The mechanism of its work combines the beauty of 3D depth and motion. Using Parallax for your online child, you get a nice way to guide people through the content in an unusual way. Check out the demo of the theme to see how it works IRL! By tradition, all these elements are 100% responsive. They will immediately adapt to any screen or browser. 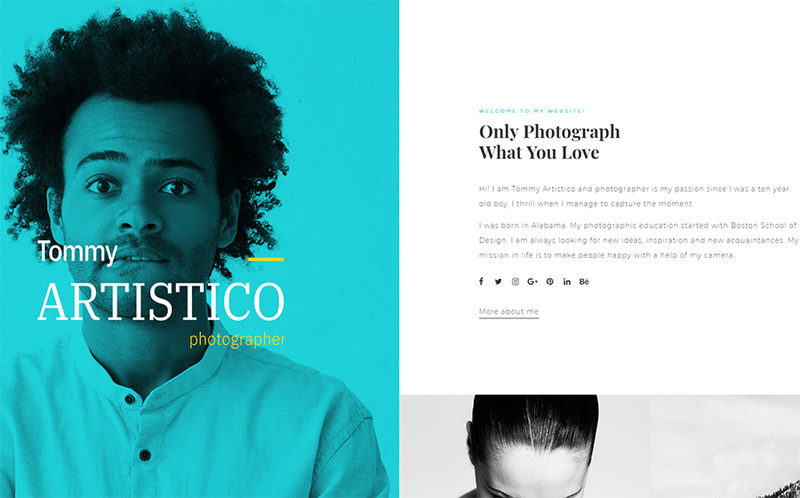 What else to think about when searching for a modern theme for your online portfolio? Whatever your website is about, you certainly need a professional and fast technical support. When it comes to the introduced themes and templates, all of them have free and friendly technical support. The team of pros works 24/7 which means that you will never be left alone with your problems. What is more, the support I’m talking about is lifetime. Therefore, you will get free help with the website even in 2029! And these design elements are just to name a few! Moreover, JetElements also contains numerous UI components for eCommerce purposes. You can build a full-fledged web shop with it. and they should harmonize with your CTA buttons, icons, and the rest of the website design. Fortunately, today, all the worthy themes and templates already have the pre-packed sets of readable web fonts. vertical and horizontal layouts, etc. Plus, there will be different ready-to-use shop pages for you to choose from. For now, these were all the bright code-free themes and templates I picked up for you. As you can see, all these products are handy and intuitive. They do not require you to have any unusual skills or super website building experience. Honestly speaking, you won’t need it at all because the presented products are 100% creator-friendly. 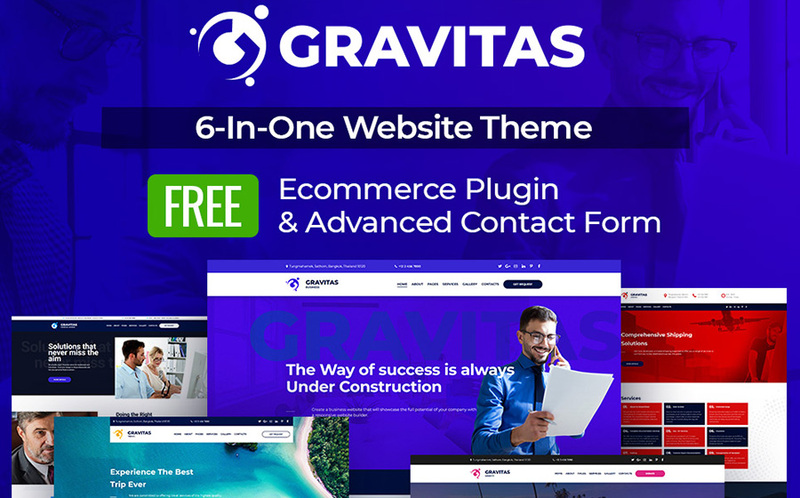 Being extra comfy, these themes and templates allow users all over the globe to build their long-awaited websites. And do it quickly! built-in web design elements that will be 100% flexible, etc. And what’s your main must-have when looking for a website theme? Let me know in comments!